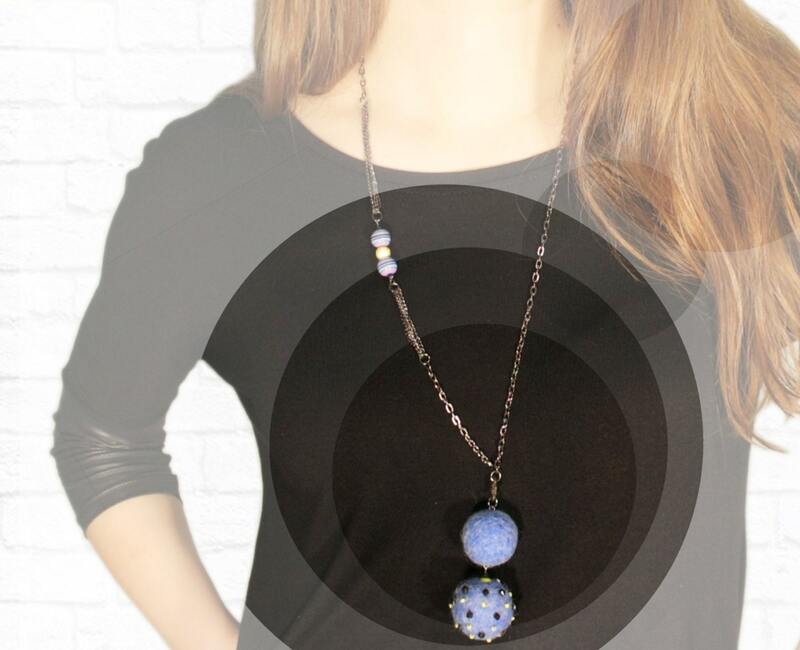 This felt necklace with a blue pendant, was made from soft wool in blue color and is comfortable against your skin. I also used acrylic beads and gun-metal chains. The beauty of this felted jewelry is in the contrast between the colors of the wool and the beautiful texture created with the seed beads. Autumn Necklace. 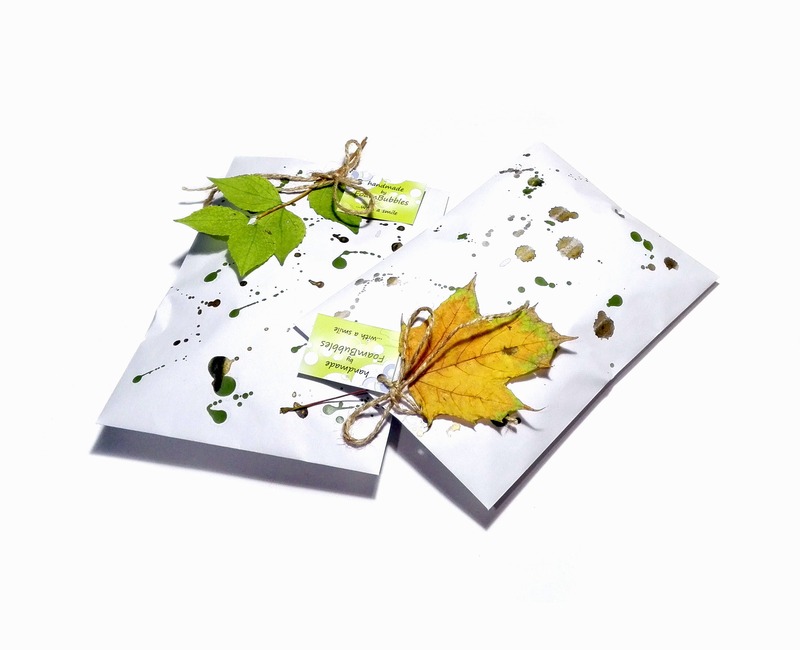 Leather Leaves Necklace. 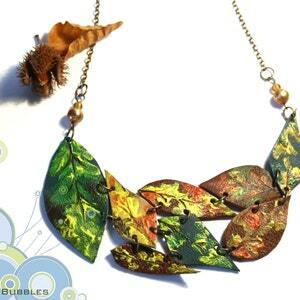 Statement Necklace with hand painted leather leafs. Fall Necklace. 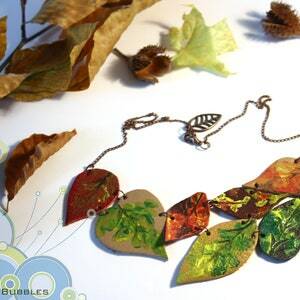 Autumn Leaves Necklace.